Who wants a piece of the Ritz? 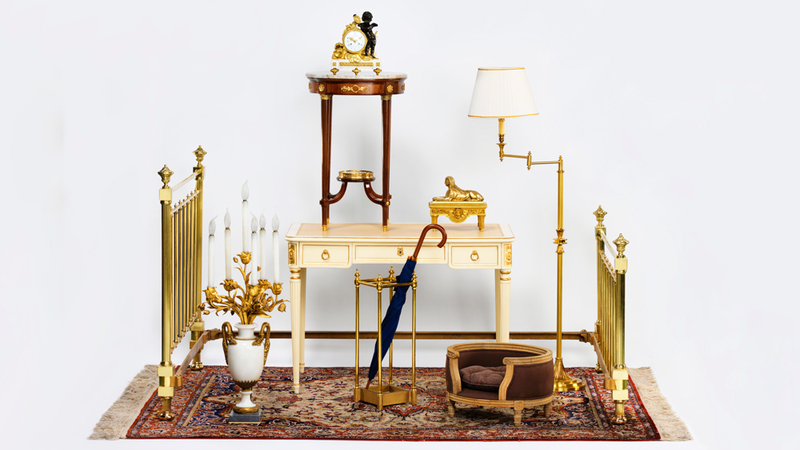 The legendary Paris hotel, home for a while to Ernest Hemingway, Marcel Proust and Coco Chanel, is auctioning off 10,000 pieces of furniture and decor through the auction house Artcurial. The hotel’s reputation for luxury and celebrity has already created global buzz around the sale. Although the pieces that will be on sale from April 17 to 21 might not have exceptional monetary value, they also pack a certain je ne sais quoi of something from the iconic Place Vendome establishment. “The resonance of the Ritz abroad is very important,” Stephane Aubert, one of the two auctioneers, told AFP. “The first client who called me to ask about the auction was an American from Texas. We’ve also been in contact with some Australians.” The 3,500 lots up for grabs are on display this weekend at Artcurial, which used stools from the Hemingway Bar, a 19th-century bathtub, and sofas and a harp from the Proust Lounge to recreate various rooms. The Ritz decided to sell the pieces when it reopened in June 2016 after four years of extensive renovations. Buyers can bid on objects ranging from velvet security cordons and curtain ties, to rugs, bedframes and sets of bathrobes and slippers embroidered with the Ritz insignia. Price estimates run from 100 euros for a pair of tablecloths to 10,000 euros for a pair of nymph sculptures carrying bronze candelabras that used to decorate the lobby. Opened in 1898 by Swiss entrepreneur Cesar Ritz the Ritz has served as the backdrop to several key moments in French history. The Nazis requisitioned it during World War II but had cleared out by the time Ernest Hemingway burst in with a group of Resistance fighters on August 25, 1944, gun in hand, to “personally liberate” it. Realising he was too late Hemingway took to the bar where he is said to have run up a tab for 51 dry Martinis. In 1997, tragedy befell the hotel when Britain’s Princess Diana, who had been staying there, was killed in a car accident in a Paris tunnel while being pursued by paparazzi. The hotel made global headlines again in January, when robbers armed with guns and hatchets ransacked jewellery shops on the ground floor, making off with over four million euros ($4.9 million) in gems and watches.